This week is probably the most unpredictable week so far this season. There are a couple of rivalry games, and it’s starting to get to the stage where teams need to start putting wins together to avoid falling out of the race for the playoffs. Below are my previews, predictions and tips for this coming weekend. 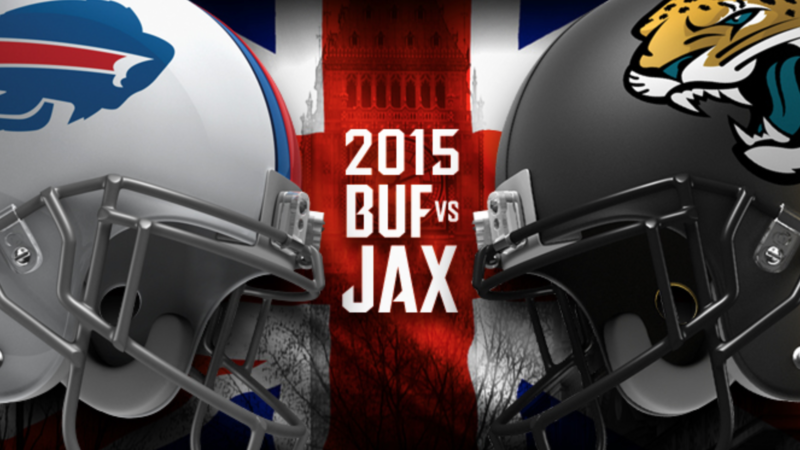 Buffalo Bills play Jacksonville Jaguars at Wembley, London. Although the Bills have a ridiculous amount of injuries, I still think they’re too talented to lose to the Jags. Rex Ryan loves to run the ball and play defence, and with the Jags being terrible at the run, expect Lesean McCoy to have a big game. The Jags offence has been better than expected this year, but Buffalo’s young pair of corners are playing as well as any corner pairing in the NFL at the moment. The Bills pass rush should cause Bortles plenty of problems, and they should win comfortably. The Titans just don’t seem to like winning games this year, and I can’t see them putting up much resistance against the Falcons without Mariota. Tennessee are also having serious trouble stopping the run this year, and Devonta Freeman is playing as well as any running back in the NFL at the moment, expect him to have a huge game. Mettenberger is a better quarterback than he gets credit for, but I see Atlanta winning easily. Todd Gurley should run riot in this game, as long as Nick Foles doesn’t turn the ball over, I think Cleveland will struggle to keep up. Now that Joe Philbin is finally gone, the Dolphins actually seem to be using their best players properly, at least last week they did anyway. The Dolphins team is much more talented than the Texans, and as bad as he is, Tannehill is still better than either Quarterback the Texans use. I see Miami winning by a touchdown or so. This game could honestly go either way. Whether Adrian Peterson plays or not could be the deciding factor, as he should have a big game for the Vikings, as he typically turns up against division rivals. How this game goes is entirely down to Matt Stafford, as he has one of the best collections of offensive weapons in the NFL, but still somehow struggles to use them. I’ll pick the Vikings to win if Peterson plays, I don’t trust Stafford at all. If he doesn't the Lions probably win. This game has all the makings of a shootout, and you could make a genuine case for either team winning. Neither team can play defence, and both Quarterbacks know how to move the ball. Although it’s early days, I think the Saints are already out of playoff contention, with the way Carolina & Atlanta are playing in their division, but luckily for the Colts their division is terrible. Sooner or later the Colts will put a bit of a run together and run away with their division, and I see Andrew Luck finally having his turnaround game against the Saints. After struggling pretty badly for the first couple of games, I think the Colts win a high scoring game. This game should be a lot closer than people think. The Jets defence is one of the more complete defences in the league, and with the Patriots offensive line changing week to week through injuries, they may cause Tom Brady some problems. The Jets will look to stay on the field as long as possible and get their run game going early, and with the way Ivory is running this year that shouldn’t be a problem. Gronkowski always seems to be kept really quiet anytime he plays the Jets, and if that happens the Jets could actually take this one, but the Patriots just rarely ever seem to lose at home. I see the Patriots winning still, but it should be close. Another game that could honestly go anywhere. The Chiefs seem to be lost without Jamaal Charles, and seem completely incapable of moving the ball without him. Roethlisberger isn’t playing against this week, so the Steelers will go into KC with Landry Jones as their Quarterback. He had an awesome game when he came in last week, but that may be down to the Cardinals spending the entire week preparing for Mike Vick, they weren’t expecting Jones to come in and step up like he did. The Steelers should lean on their run game in a hostile stadium to take pressure off of Jones, and Leveon Bell should see plenty of action in this game. I pick the Steelers to win this one. This should be the ugliest game of the week, and again could go either way. Jameis Winston has had a rough rookie year so far, and I see that continuing in this game. If the Redskins can protect Kirk Cousins they should win this game at home, and I have picked them to win, but honestly don’t touch this game for bets. The Raiders are a couple of plays away from having a winning record this year, and I see them giving the Chargers a pretty good game for the first half. Latavius Murray will have a big game for Oakland as the Chargers can’t stop the run, but with the form Philip Rivers is in, I see San Diego running away with it in the second half. Chargers win by a touchdown or so. This division has been all over the place this year. Cassel is an improvement over Brandon Weeden at Quarterback for Dallas, and the Giants defence has been pretty bad this season. With Dez Bryant coming back soon the Cowboys will get a huge boost, but I think the Giants offensive line determines how this game goes. Philly were all over Eli Manning in the Giants last game, and Dallas will give him plenty of problems if his offensive line doesn’t play any better. I see New York winning it, but it should be a tight game. 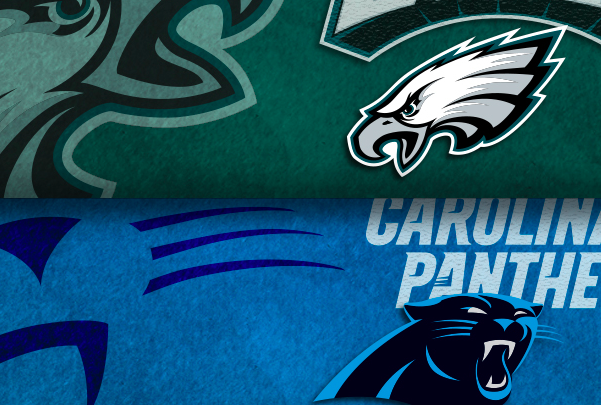 Philadelphia Eagles vs Carolina Panthers in Gameweek 7. Carolina are still undefeated, but they have only played one team with a winning record so far this year. The Eagles matchup very well defensively with what the Panthers do offensively, and if Mychal Kendricks plays this week, he caused Cam Newton a lot of problems last year by spying him for most of the game. Newton is a lot healthier this year than he was last year, so he will play better, everyone is picking the Panthers to win, but It’ll be a lot closer than people think. The Panthers defence has been incredible so far this year, and I see the Eagles offense struggling, and call me biased but I can see the Eagles stealing this one. 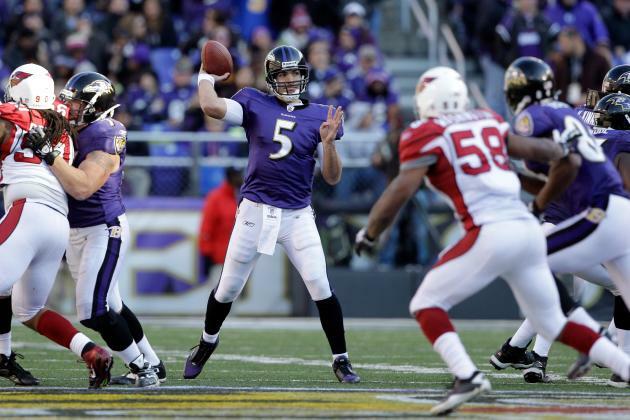 Joe Flacco (Ravens QB) is hoping to improve on his sides current 1-5 record. The Cardinals let me down for a lot of money last weekend, but because of how bad the Ravens are this year I see them winning this one easily at home. Steve Smith is the only real threat the Ravens have offensively, and he’ll have Patrick Peterson following him all game. Flacco will probably a couple of interceptions, and as long as Carson Palmer doesn’t do the same, Arizona should win convincingly.